Australian CMOs are largely missing a strong competitive advantage that is helping the likes of Google, IBM and Visa, according to Yale University’s Centre for Customer Insights. 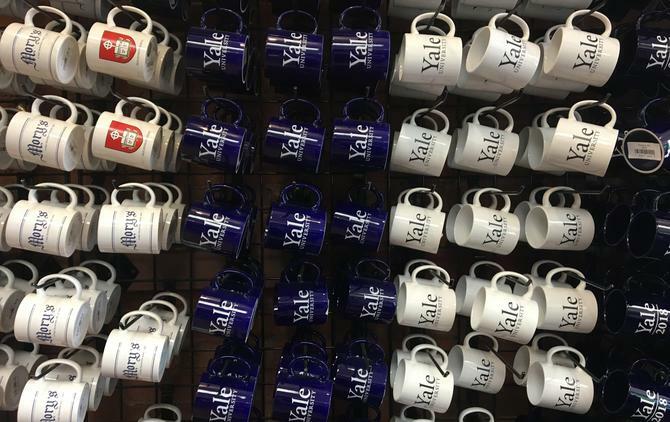 In late June, 40 executives from around the globe participated in a three-day course at Yale University to find out how consumers are most likely to act based on behavioural science. The participants were a mix of marking and insights leaders from around the globe. One international food company sent a delegation of 10 students, a hefty investment of around $100,000. The team at Yale and the Centre for Customer Insights work with some of the world’s top companies, showing them how to influence (nudge) consumers using research-based behavioural insights. One to two Australians make the trip to Yale each year to take the three-day Behavioural Economics ‘immersion’. In addition, the Federal Government has a Behavioural Economics Unit (BETA). However, scholars at Yale believe Australia businesses are falling behind in their take-up of the discipline. Executive director of strategic partnerships and education at the Yale Centre for Customer Insights (YCCI), Gloria Tam, said Australia, like many other developed markets, has already made some headway leveraging behavioural science and economics to make the desired path the path of least resistance for people’s decisions. This can be seen in particular in the social and policy area. The insights students are learning today include the limitations of consumers brains when making decisions. For example, blind studies have shown if we think a wine costs $90, it will give us more pleasure than if we think it costs $10. That’s because what we experience is not just what we sense but also what we believe to be true. According to director of YCCI, Professor Ravi Dhar, beliefs and goals can be overlooked by companies but are important drivers of consumers’ evaluations and experience. What marketers need to do more of, he said, is activate the relevant beliefs in the moment a consumer makes decisions about products. This means CMOs should spend as much time thinking about beliefs and goals as they think about product benefits and attributes. But consumer beliefs and goals are difficult to uncover. They often contradict consumers stated beliefs and goals because they can be unconscious, emotional, irrational and changed by circumstances. This means surveys asking consumers what they believe or, how they may behave, can have limited use. The weather, for example, can be a strong driver of purchasing decisions, but people are very unlikely to admit or even realise that they are more likely to buy a sports car when the sun is out. A recent and painful example of incorrect consumer insights is from ticket seller, StubHub. It surveyed customers over several years and found their main stated problem was hidden fees that unexpectedly increased ticket sales at checkout. As a result, StubHub promised full transparency and listed all the fees on each ticket, including facility charges, convenience charges and taxes. Sales dropped by an estimated 20 per cent (the company never disclosed the actual amount) because seeing a long list of fees made people irrationally think the tickets were more expensive than elsewhere. StubHub changed its policy. So, what can Australian CMOs do to take more advantage of behavioural insights? Professor Dhar said CMOs need to become detectives and study consumer behaviour, then test and learn. Senior associate dean for Executive Education, Molly Nagler, added the intensive three-day course can be game changing. But, as Behavioural Economics teaches us, when you’re at a world-famous institution such as Yale, it’s easy to believe you’re learning something very special indeed - just like that person drinking a $90 bottle of wine.